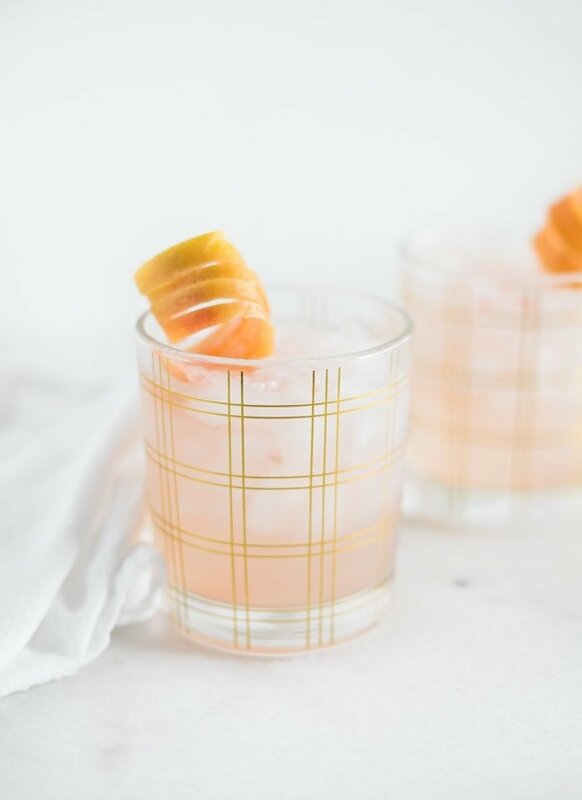 The gin and tonic gets a fun holiday upgrade with grapefruit and spiced simple syrup in this Spiced Grapefruit Gin and Tonic. This post is sponsored by Winter Sweetz Grapefruit. Thanks for supporting the brands that keep Lively Table going! Y’all. I swear I’m not an alcoholic. 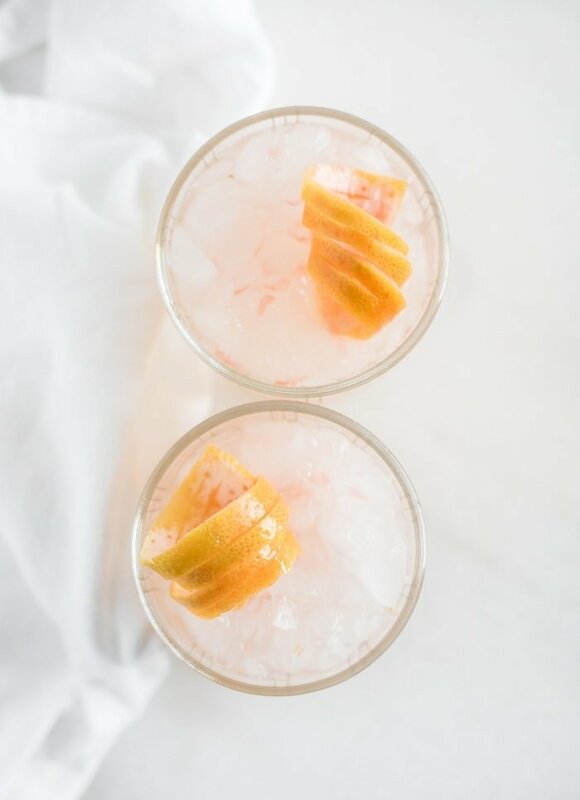 I know I’ve got so many cocktail recipes coming your way, like that amazing Pear and Pomegranate Sparkling Sangria, or the delicious Spiced Cranberry Mule I posted last year. And that other amazing cocktail I’ve got planned for you in a couple of weeks. But I just can’t help myself. I have to share! You don’t have to worry about me just yet. My grandma already does enough of that. She thinks we’re all going to grow up to be alcoholics. But I just get SO inspired by the amazing flavors this time of year! Don’t get me wrong, I won’t turn down a tropical drink, but I’m not too fond of sweet drinks. I do still love flavor, though, which is why I’m obsessed with winter drinks! 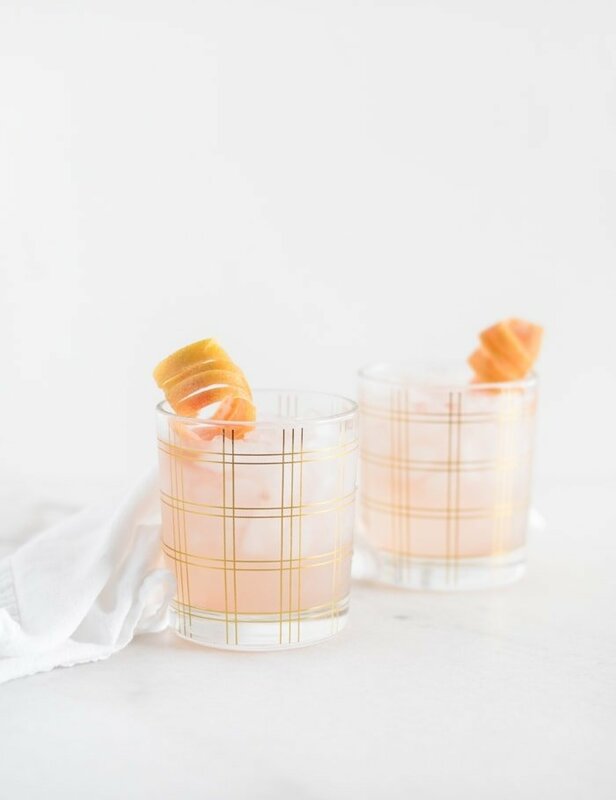 I love infusing cocktails with cozy, aromatic spices that are just so inviting this time of year and just perfect for a special celebration. Not to mention the fabulous fruit available for cocktails this time of year. One of my favorites is grapefruit. Not too sweet, just the right amount of tart for my taste, and it makes such a gorgeous color in your glass. Fun fact about Texas: we grow the most sweet and beautiful ruby red grapefruits. Yes, it is a fact. And these beautiful Winter Sweetz make the most delicious cocktail. The sweet yet tart taste pairs perfectly with holiday spiced honey syrup and a classic gin and tonic mixture to bring you a holiday cocktail that will make any party that much more festive. It’s fabulous. The secret to getting the best flavor out of your Winter Sweetz ruby red grapefruit is to segment is correctly. I could explain it, but instead I’ll just let you watch this super short video. Much easier, I promise. Just make sure you free the segments from all of the peel and pith to avoid any bitterness. It’s the inside that counts, people. 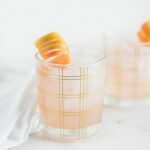 I also encourage you to use this method anytime you enjoy grapefruit, like in my Winter Paloma. 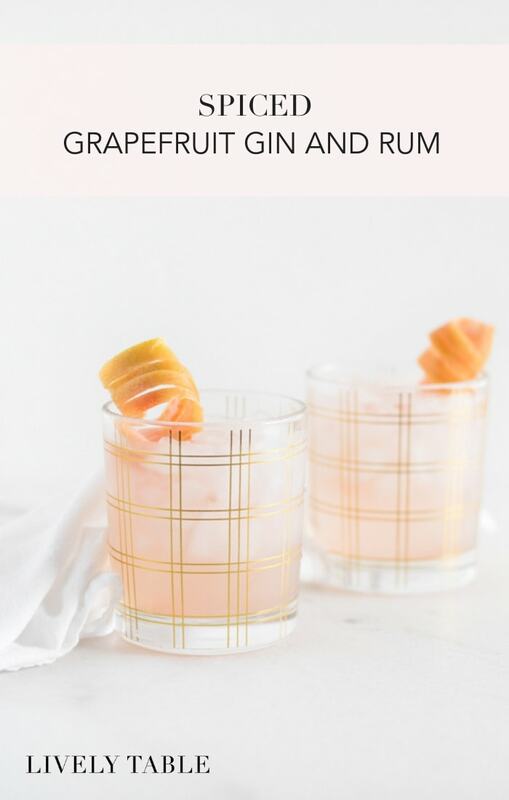 After you’ve got your beautiful grapefruit segmented, just muddle, make your spiced honey syrup, and mix yourself up a Spiced Grapefruit Gin and Tonic. It’s sure to impress this holiday season. Just make sure you don’t enjoy too many (at once) or I’ll have to send my grandma your way. Cheers to a sweet and joyful holiday season! 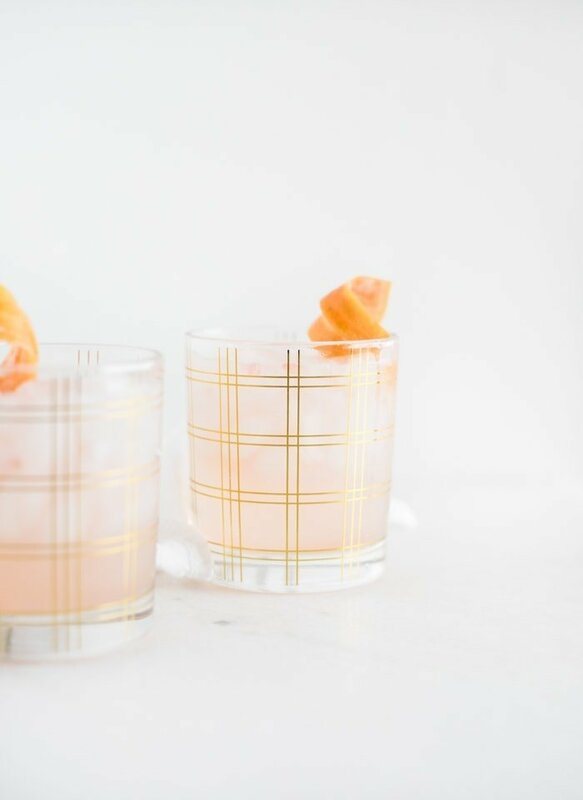 The gin and tonic gets holiday upgrade with grapefruit and spiced simple syrup in this Spiced Grapefruit Gin and Tonic. To make spiced simple syrup, place all ingredients in a small saucepan. Bring to a gentle boil, stirring. Simmer about 5 minutes and remove from heat. Let syrup cool completely in the pan before straining into a jar or measuring cup. This will make enough for plenty of drinks! Muddle grapefruit segments in the bottom of a cocktail shaker. Make sure to remove any piths to avoid bitterness. Add ice, gin and cooled simple syrup. Shake vigorously. Fill 4 glasses with ice. Strain gin mixture into glasses and top each with tonic. Garnish with grapefruit peel and rosemary (optional). Was it really necessary to open with a joke about alcoholism? You might not be an alcoholic, but imagine reading this if you are one, or a recovering one, or partnered with one, or the child of one. Someone really didn’t think their humour through. The beauty of having my own blog is that I can write what I want without worrying about offending people. People make jokes about all kinds of things. If you’re offended by alcohol, might I suggest you don’t click on a post about a cocktail? My simple syrup came out quite watery. I verified the ratios and even simmered well last 5 minutes (more like 8 or 9), but it’s still watery. Is this recipe meant to make a thin simple syrup? Hi Anna, Yes! Simple syrup is typically a thin liquid.